Curious about natural mosquito repellent plants? Satisfy your curiosity and find out if indeed these mosquito repellent plants are a match against these pesky blood-thirsty, disease-spreading, ear buzzers! Mosquito repellent plants sure got me going gaga with all these alarming news of Zika and West Nile virus among other mosquito-borne diseases. I went on self-help mode and went online to find out more about natural mosquito repellent plants. While there are effective ways to mosquito-proof our home, the outdoors is a different story. Luckily, some of our favorite herbs and plants are either studied or commonly known as mosquito repellants. Grow a garden with these natural mosquito repellent plants as your first line of defense against mosquitoes! Perhaps, one of the most notable mosquito repellent plants is the lemongrass. Citronella oil, which is commonly used for making insect repellent spray, soaps, and candles can be extracted from the plant. Aside from this purpose, Oriental dish recipes are never complete without lemongrass. Growing basil in your garden isn’t only great news for your pasta recipes. Among its many uses is to ward off insects including mosquitos by their scent. One of its many health-boosting properties is to strengthen our immune system, which is our body’s first line of defense against diseases. Including, heaven forbid, mosquito-borne diseases. You can never go wrong with rosemaries both indoors and outdoors in your garden. With this drought-resistant plant, you can grow rosemary in a waterless landscape which deprives mosquitoes of their habitat. Rosemaries in a dry landscape practically equals to zero mosquitoes. 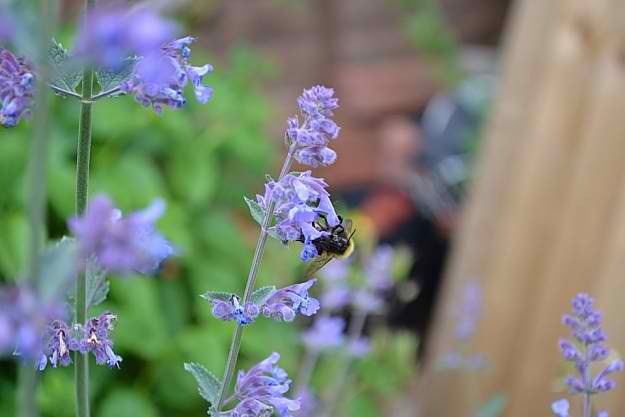 Catnip has been recognized as one of the strongest natural insect repellents. In fact, catnip is 10 times stronger than DEET, the commonly used ingredient in insect repellent. Grow lots of catmint bushes in your garden to ward off pests or grab an essential oil and use the aroma to repel mosquitoes. Your cats will certainly love this idea. Lavender’s agreeable aroma is wonderful for humans but not for mosquitoes. Try lavender candles or burning lavender incense to drive away mosquitoes and enjoy the relaxing scent, bug-free. Plant lavender around your home or yard or use essential oils for alternative repellents! If you’re having some major mosquito issues, have you considered planting some marigolds in your garden? Marigold is a natural mosquito repellent. No need to rub on oils or creams with this plant. Just grow it in your garden, and let the marigolds do the work. Mosquitoes seem to find the smell of floss flowers offensive, probably due to coumarin, a fragrant organic compound secreted by the plant. This compound is widely used in manufacturing mosquito repellent products. Grow these flowers in your garden to repel mosquitoes but avoid rubbing the leaves on your skin. While camphor trees are considered invasive, its pest and mosquito repelling properties are highly appreciated. You can find from the first-hand experience of camphor tree growers how they are effective in keeping mosquitoes at bay. With its strong aroma, it seems to work amazingly round the clock. Some growers may not agree to this entry with mosquitoes sometimes swarming cedar trees or hedges. It is not the cedar but the cool moist shade that cedar provides which actually draws mosquitoes. In fact, cedar is also used to make mosquito repellent sprays. Its aroma and essential oils are offensive and even destructive to mosquitoes. Aside from its popular use as an ingredient for making tea, essential oils from chamomile are also used to drive insects including mosquitoes away. You can either use fresh or dried chamomile flowers to make a homemade mosquito repellent spray. Besides their beauty, chrysanthemums are known for its insecticidal properties. With Pyrethrum, a compound which attacks the nervous system of insects and disrupts female mosquitoes, they make very effective mosquito repellant. Adding to that, they make great indoor plants which help purify the air, according to NASA. Perhaps, owing to its popularity and for the high expectation as a ‘mosquito plant’, citronella geranium’s capacity has been questioned. It also smells quite like citronella, so for what it’s worth, you have the dainty flowers and the lovely scent to make up for what it probably lacks. Like many of its relative from the mint family, bee balm is also known to repel insects including mosquitoes. They can effectively function as mosquito repellents when the leaves are crushed to release essential oils. Horsemint is beneficial to the garden for attracting hummingbirds and bees, which is a plus. With attractive flowers blooming all summer long, you can grow low-lying lantanas in your garden to help repel mosquitoes. Its smell is offensive to insects and some critters including deer. Make sure to grow them in your garden conservatively as they can be invasive. This is another herb with an aroma which is strongly reminiscent of lemon especially when crushed. Its ability to repel mosquitoes is probably credited to this fact. 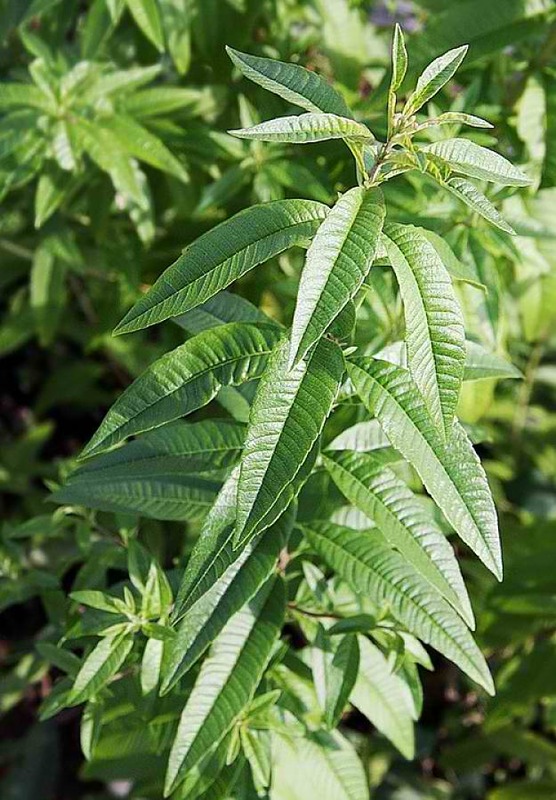 You can add lemon verbena to your mosquito repellent garden for variety. There’s definitely no one ultimate mosquito repellent plant which completely drives mosquitoes away. Unfortunately, this is one on going battle with these blood-thirsty pesky critters. Along with keeping your environment unlivable for mosquitoes, growing mosquito repellent plants could be one way to reduce mosquitoes in your yard! Which of these plants is your tried and tested mosquito-repellent plant? We’d love to hear all about your experience in the comments! I just want to thanks to everyone that the tips ,stories and skills. You are the ones that help keep those of us that are lost in these areas. I live in Central Florida on a lake and mosquito’s here are terrible. I never knew about Basil repelling those pesky insects! I need to plant more Basil as soon as possible. One suggestion I will make for those who live in a warmer climate is to try planting Camphor Trees. The side of my wooded property that has Camphor trees growing on it never have any mosquito’s nearby! Just a friendly tip! Picture 9 is a Cedar (Cedrus),but description is more like another tree also called Cedar. Cedars (Thuja) have scales not needles…..was wondering if I am wrong but since I happen to be an expert in the fields of Arboriculture and Horticulture of over 45 years I likely correct on this point! Since Cedrus is not native to north america it is not common and article should state this. HomesteadingUSA…..is title so? Now does Thuja have the same effect or not? misinformation plagues my profession so please make more clear! Now if this was another continent article then this would be a mute point!